In 1955, Japanese babies began getting sick. It took a long time — inexcusably long — for the danger to be publicly announced, and as a result, Japan had over ten thousand victims of arsenic poisoning, and over 100 deaths. In late July of 1955, parents in western Japan began taking their babies to the hospital. The children, for no reason that the parents could understand, suddenly began vomiting and having diarrhea – a dangerous condition for young children who need to put on weight and can dehydrate easily. The babies also had swollen, tender stomachs, and dark, almost blackened skin. After enough parents had come in, and enough doctors had asked questions, they found that the babies were all bottle-fed, and bottle fed with milk from the Morinaga corporation. By August 5th, it was clear to everyone that Morinaga MF Milk was causing sickness, and doctors began demanding tests and announcements. The tests were begun, but no one made any announcements. 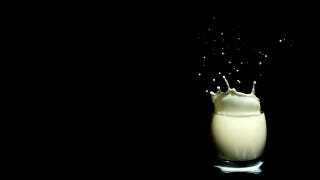 One reason for the delay was the fact that the milk was tested, and no impurities found. Still, only Morinaga milk drinkers were coming down with the mysterious condition. One journalist, whose own child got sick on August 12th, was quietly told to switch milk brands. He noticed that babies with similar illnesses had a letter "M" on their charts – a note that doctors used to keep track of the victims that drank Morinaga milk – but when he printed the story, the name of the company was edited out of his article. At last, Morinaga revealed that they had been using sodium phosphate as a stabilizer for the milk, which had not been among the milk additives initially tested. It was contaminated with arsenic. The announcement that Morinaga milk had arsenic in it wasn't made until the 24th of August; by then, there were 13,000 victims, adults and children, 6000 serious cases, and 100 deaths. At the time, the victims were treated with the BAL protocol. The British Anti-Lewisite system was developed as a counter to Lewisite, an agent of chemical warfare that contained arsenic. After working with Lewisite for some time, researchers found that it bound to certain enzymes, which is part of what makes arsenic so dangerous. To reduce the danger, scientists needed to find a chemical that bound to the arsenic more readily than the enzymes. The result was Anti-Lewisite, otherwise known as dimercaprol. It was less than ideal, since it was also poisonous, so it couldn't be taken as a precautionary measure. However, if a person already had arsenic in their system, it was a good way to reduce exposure. The babies who were affected by the milk poisoning are now entering their 60s. A study of them in 2006 showed that many of them still suffered chronic health problems. Arsenic is neurotoxic, so a disproportionate amount of them had developmental delays, epilepsy, and lower IQ scores. They were also below average height. The victims and their families had a long legal fight to get financial restitution from the company. A committee was formed to demand financial assistance with hospital bills, ongoing pensions for those who suffered from chronic medical conditions, and more testing and transparency in food products. Despite their efforts, little was actually accomplished. It was only when the babies were nearing 15, and the medical problems they suffered were obvious, that a new committee managed to make some accommodations with the company.